Modern is always evolving and adapting to the most recent innovations in the metagame, and it is important to keep your deck updated with these constant changes in mind, no matter what that deck is. For that reason, I want to share the most recent updates I have made to Five-Color Humans. Humans has proven itself to be a major player in the past couple of weeks. Jund has risen to the top as the premier "removal spell" deck of the format and has pushed out some of the more control heavy decks of the format like Jeskai Control and U/W Control. This is great for Humans, because Humans is slightly favored against Jund but was a big underdog to the more control heavy archetypes. Here is the list I'm currently running. Probably the newest and most exciting innovation to the list is the inclusion of a single Restoration Angel to the main deck. I first saw this innovation in action when it blew me out during the MOCS Modern Monthly last weekend. My opponent passed with four mana up in the mirror, usually only an indicator of either Dismember or Izzet Staticaster. I played around these cards rather well, but essentially lost the game on the spot to my opponent flashing in Restoration Angel and flickering their Reflector Mage during my combat step. Yikes. After testing the card, I think Restoration Angel is an excellent inclusion in the deck. It synergizes well with so many of the cards in the deck. You can get another Clue from Thraben Inspector, you can get another Thalia's Lieutenant trigger, or you can reset a Meddling Mage. It even works well against one of the main problems Humans faces in the format: spot removal. 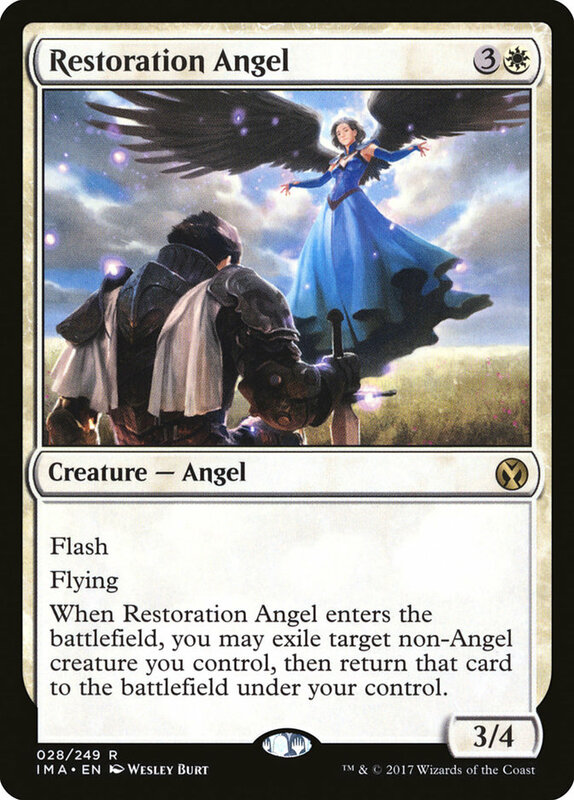 I don't think I want to see a bunch of copies of this card in Humans, because four mana is quite a lot, but Restoration Angel has definitely proven that it's a strong contender, and I like having access to one moving forward. 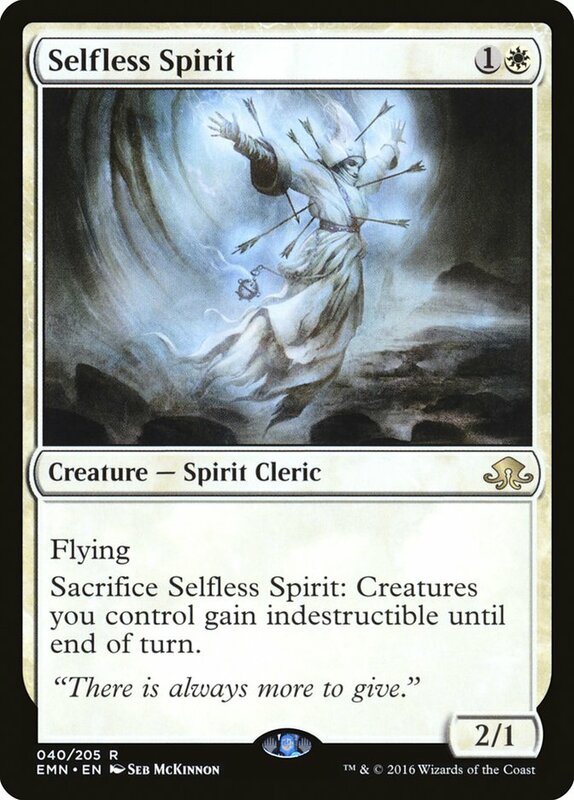 Selfless Spirit has been the MVP for me in so many matchups. There are many games where the Humans player can develop a battlefield very quickly, and often the opponent's only route to victory is through some form of sweeper. In these spots, Selfless Spirit does an excellent job at putting the nail in the coffin by eliminating that out from the opponent. I had initially run Xathrid Necromancer in that slot, but Selfless Spirit has proven itself to be much better for a couple of reasons. First, it only cost two mana, which can make a huge difference when you're trying to curve out. Second, Selfless Spirit is effective against what is arguably the most popular sweeper right now. 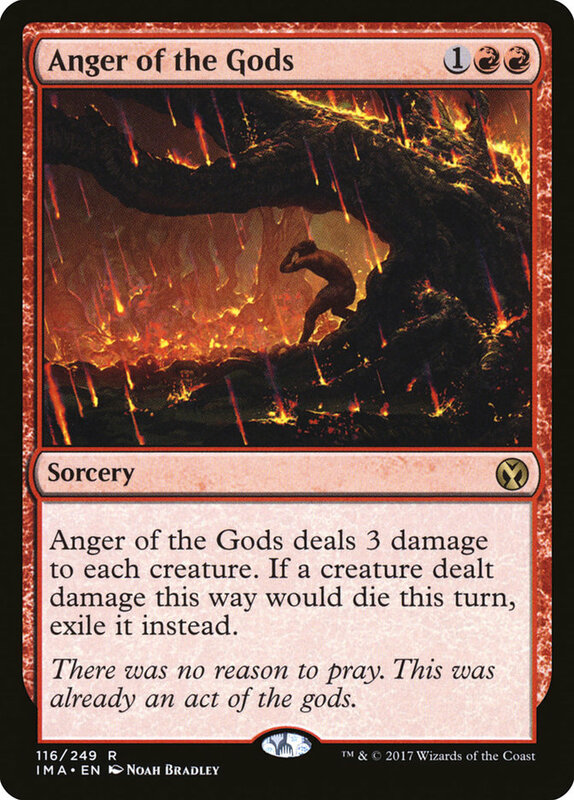 Anger of the Gods is seeing play in the sideboard of many decks as a good answer to Humans because of its effectiveness against Xathrid Necromancer. Jund, Scapeshift, Storm, and Blue Moon all have access to the card after sideboard. Having protection from this sweeper is invaluable in these matchups. After the unbannings of Jace, the Mind Sculptor and Bloodbraid Elf, we saw many Humans lists abandon Kessig Malcontents in favor of more grindy cards like Pia and Kiran Nalaar. But with the metagame returning to a more predictable spot, I think it's pretty clear that we need to be moving back to Kessig Malcontents. Humans, at its core, is an aggressive deck. It isn't designed to try to make the game go long and rely on grindy elements to generate value. It's trying to reduce the opponent's life total to zero as quickly as possible. I've even described its disruptive elements as building a house of cards. If you have a removal spell under a Kitesail Freebooter and another removal spell named with Meddling Mage, all it takes is for your opponent to draw something to answer either of these creatures for your entire house of cards to come crumbling down, as they can kill a creature, unlock their other card, and kill the other creature as well. For that reason, I'd rather have more cards in my deck that are good at closing out the game than cards that are slightly better in a longer game. 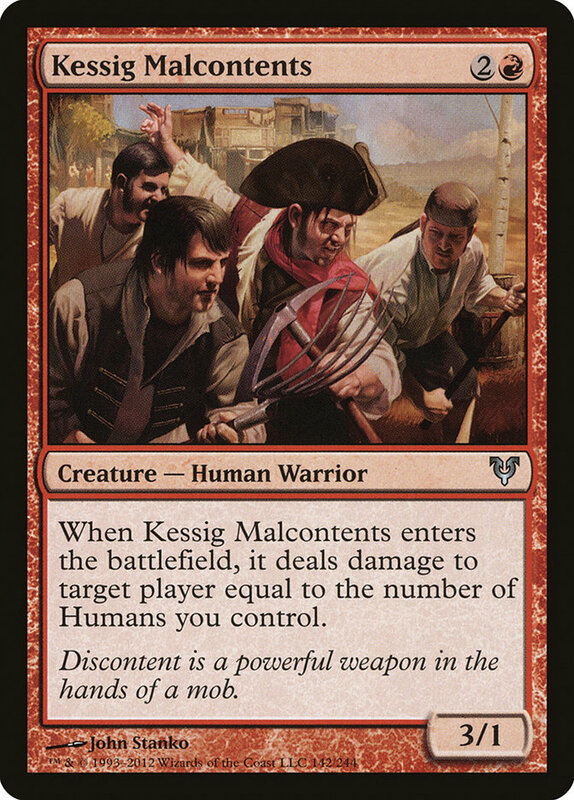 Kessig Malcontents is quite good at closing out games, so I want at least one copy in the 75. After a lot of testing, I concluded that Humans wanted another creature in the one mana slot. Part of the reason for this is because there are a few matchups where you want to sideboard out Aether Vials, and in those matchups you still want to be leading on a one mana play most of the time. Having that extra tempo advantage given by a one mana play can be huge. The question boiled down to whether we wanted Thraben Inspector in this slot or Kytheon, Hero of Akros as they both have their pros and cons. On one hand, Kytheon hits harder and can prove to be a must-answer threat in some scenarios, when he's threatening to flip into a planeswalker. On the other hand, Thraben Inspector gives you a whole extra card later in the game, a huge effect for a deck with as few lands as Humans. The conclusion that I came to was that Kytheon's text outside of just being a 2/1 body wasn't relevant enough of the time. Additionally, because we wanted the extra one-drops for grindy matchups where we take out our Aether Vials, having a better one-drop in those grindy matchups felt more important. 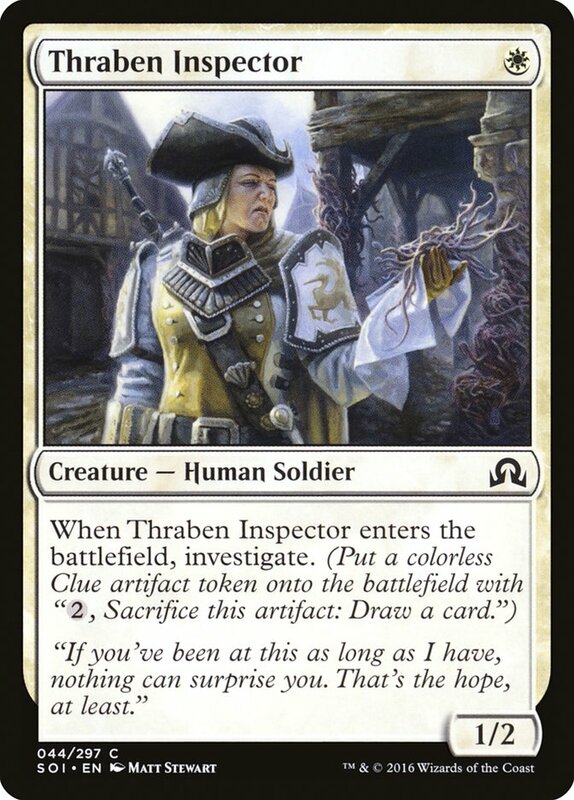 For those reasons, I settled on playing with Thraben Inspector. I gave my 6/6 Champion of the Parish double strike with a Boros Charm to kill my opponent. I Vialed in Dire Fleet Daredevil in response to Snapcaster Mage to counter its effect and Lightning Bolt the Snapcaster Mage. 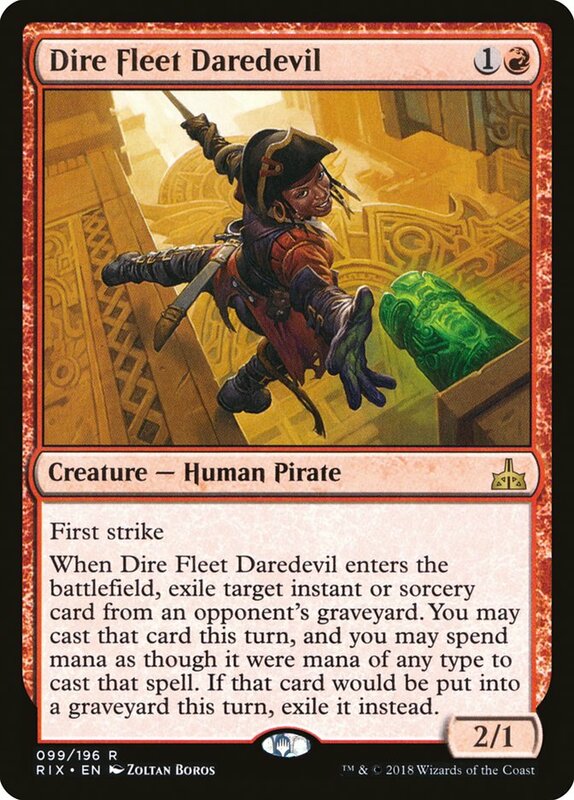 I Vialed in Dire Fleet Daredevil to counter my opponent's Wrath of God with their own Cryptic Command. Some of the numbers in the deck may look a little wonky, but I promise there's a method to this madness. I cut down to only three copies of Meddling Mages because the matchups where Meddling Mage excels aren't as popular right now. Jund and Humans are the most popular decks in Modern right now, and Meddling Mage just isn't exciting in either of those matchups. By hedging the main deck a little bit, I'm giving myself a slight edge there. I also went back up to a full four copies of Thalia, Guardian of Thraben because I still wanted enough disruptive elements for the combo matchups, and Thalia is better against Jund and U/R/x matchups. Sometimes I like to think that cards in Modern have a certain "stock market" value associated with them when it comes to playability. These values often fluctuate with the always changing nature of Modern, and it's very important to update the numbers of your deck to reflect which cards have a higher market value or a lower market value. 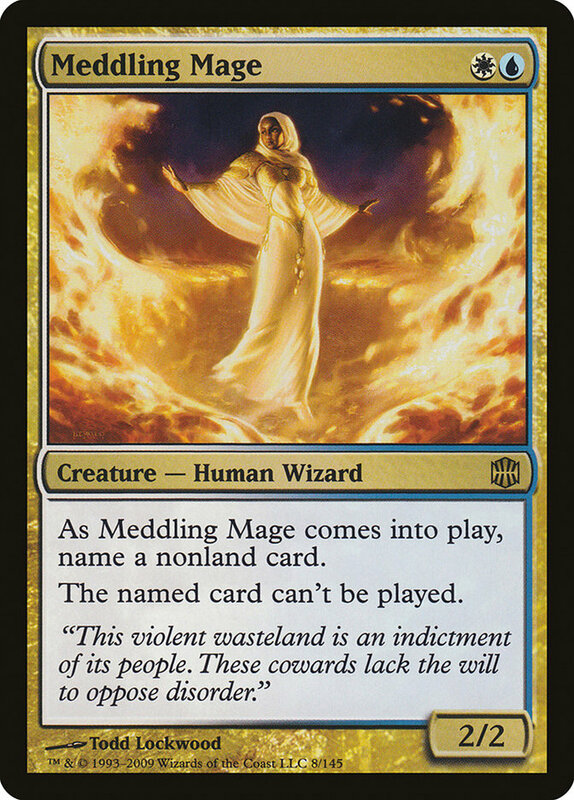 Right now, I believe that the value of Meddling Mage is slightly lower, and the value of Thalia, Guardian of Thraben is slightly higher, so I want the number of these cards in my deck to reflect that.